The next-generation of mobile communication, known as 5G, could easily be mistaken as a set standard that will shortly be introduced to offer even faster data and services to customers. Figure 1. The next terrestrial infrastructure. However, there is considerable confusion and uncertainty as to what the next-generation in mobile communications will actually be — while some frequencies have been allocated and a few trials have been completed, there is no set standard in the same way that 2G, 3G and 4G are understood. The next-generation will be an entirely new concept for digital communication in terms of frequencies, modulation and access. Most importantly, satellite services will play a significant — if not domineering — role and be for the masses, not just the business or specialist user. Perhaps it is best to visualize the fact by imagining the following scenario: Starting with the future pocket digital terminal and moving from place to place, country to country and building to building, each communication medium will change and optimize according to use. In the countryside, the data will be delivered from overhead satellites, thousands of them; moving into urban areas, then the portable device switch to local terrestrial access points (many fed by satellites). In buildings, whether at work or commercial, the mobile locks onto what is known today as Wi-Fi. Fly to another country and at the other end the data provider, perhaps Facebook, Google, SpaceX or even Boeing, instantly connects the pocket terminal to what is now a global network. There will be no roaming, as the next-generation of service suppliers will own the satellites as well as the data — global, not parochial. All of this access will be automatic and there will be no need to log into different networks or enter new passwords. Anywhere in the world, there will be instant access to fast, uninterrupted service. If this sounds like the utopian dream for mobile networks, get prepared — this has to happen — subscribers will no longer tolerate poor service. Moreover, the ‘Internet of Things (IoT)’ will drive the need for more data in more places and more reliably; drop outs and poor signals have been suffered for too long by customers and at a high price. This achievement will not be simple, which is why the progression to the magic 5G didn’t happen as fast as it did from 3G to 4G, which was essentially a modification to the modulation techniques used. Multiple standards, very high data rates and global rather than national integration are needed. Certain nations, who restrict the content that their users can access, will be dreading this future development. To have such an integrated network, high data rate satellites, terrestrial access points and Wi-Fi terminals are needed. In addition, some serious technical challenges have to be overcome for the ground terminal to be available to everyone at an affordable price. The current terrestrial networks operate around 2 GHz (GSM 900 MHz) and have relatively narrow bandwidths that limit the best usable data rates to around 15 Mbs, although much higher rates are claimed; Wi-Fi is similar due to the bandwidth being shared with multiple users. Satellite data rates, mostly at Ku-band, are in the kHz range as anyone who has tried to use in-flight Wi-Fi knows all too well. Simply stated, if high data rates are needed, then wide bandwidths are an absolute must, all being adaptive (to the conditions) — modulation techniques will maximize this requirement. At millimeter wave, and that could be considered as anything above 20 GHz in practical terms, the need is for new technology. Millimeter waves, because of their short wavelength (as the name suggests) tend to travel in straight lines, can use much smaller antennas, are subject to higher atmospheric attenuation and, most significantly, can possess much wider bandwidths. This seems obvious, but 10 percent bandwidth at 2 GHz is 200 MHz, at 28 GHz its 2.8 GHz. The straight-line property means beam steering antennas, the smaller aerial implies tiny base stations, the higher attenuation raises the requirement for multiple access points and the wide bandwidths will bring all super-fast data rates. Major infrastructure projects will be needed to facilitate this revolution in terms of satellite, terrestrial and Wi-Fi. Current mobile base stations are situated on hilltops and buildings, have powerful transmitters and are linked together with high gain point to point links, known as backhaul. These are in the form of relatively high towers with large antennas and microwave dishes. This is the most exciting and ‘game changing’ part of the 5G concept; masses of Low Earth Orbit (LEO) satellites will be launched in the coming decade that will enable the vast majority of users to no longer receive a ‘no signal’ or ‘E’ on their handheld device — such messages will become a thing of the past. These satellites will, more than likely, operate at Ka-band and with 500 MHz channel bandwidth, implying theoretical data rates of 2 Gbs or more. 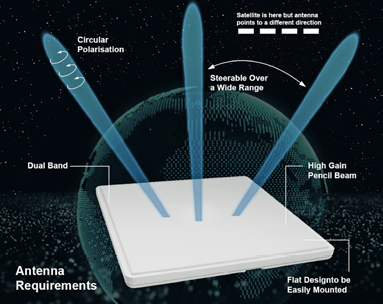 As stated previously, Ku-band satellites (~12 GHz) will not deliver the high data rates that will be required, V-band satellites (~45 GHz) will suffer high atmospheric absorption, meaning that Ka-band is probably going to be the best compromise for data delivery. Currently, there are a few Ka-band satellite services, such as Viasat and Inmarsat (Global Express), but these are GEO services with relatively low data throughput and they suffer from high degrees of latency due to their distance from the Earth. 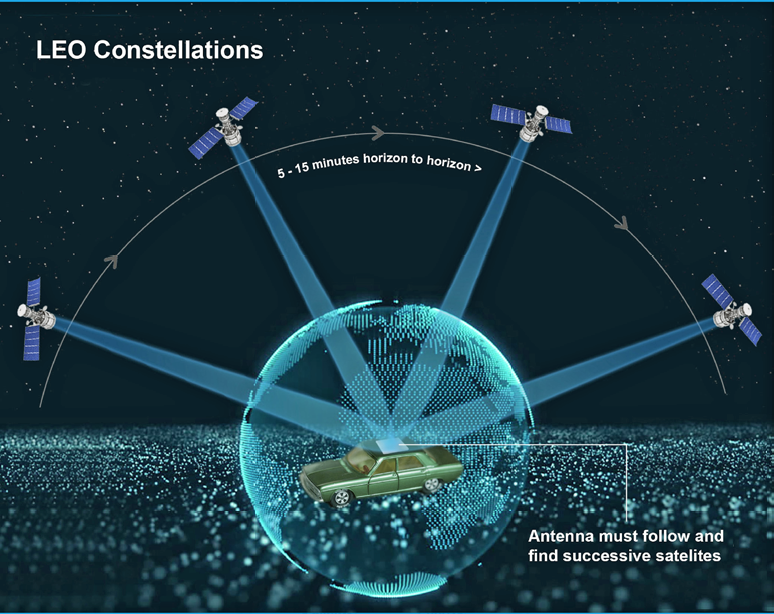 Numerous organizations have proposed LEO constellations such as OneWeb, SpaceX, Google, Samsung as well as some several lesser known firms. 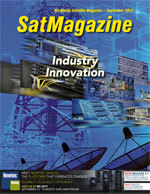 Most are Ka-band, although OneWeb has a significant number of Ku-band proposals, and Space X recently applied for additional V-band services. As stated above, the advantage with LEO services is their low latency due to their distance from the Earth; the disadvantage is that to provide a mass market service with the further complication that they only remain in view for approximately ten minutes or so, means thousands of these satellites will be required to maintain communications. How will so many satellites be launched in time to provide a global service? This is a subject of much discussion and beyond the scope of this article. However, that is the main driver of SpaceX and Virgin Galactic. What is required, though, is some sophisticated antenna technology that can follow the satellite across the sky, irrespective of user movement, with automatic hand-over to the next satellite as the signal fades. This will require retrodirective technology, an antenna that can receive from all directions simultaneously and then point and retransmit back in the direction of one or more signals. If the antenna is mounted on a moving vehicle as it twists and turns, goes up and downhill, this becomes a formidable task. For such dynamic antenna performance, solid state is probably the only answer and the antenna would need to be flat or slightly curved to be mountable on vehicles and aircraft. Currently, no such commercially available antenna exists, although there are some trials underway. As these satellites will be only visible for, say, ten minutes or so and appear no more than a few times per day, as stated, thousands will be required in order to maintain the very high data rates on the ground that would be required. The FCC recently introduced a range of frequencies that would be available for 5G use. The most likely of these frequencies to be used is at 28 GHz. For terrestrial devices operating at this frequency, access points can be fairly widespread and beam steering arrays highly achievable once decent semiconductor phase shifters become widely available. The handset will need to be capable of MIMO performance, meaning that the unit can receive, error correct and process signals from multiple access points, thereby ensuring very high data rates. For Wi-Fi, much talk has been given to so-called WiGig; this operates at around 60 GHz and is capable of, in theory, Gbit data rates. 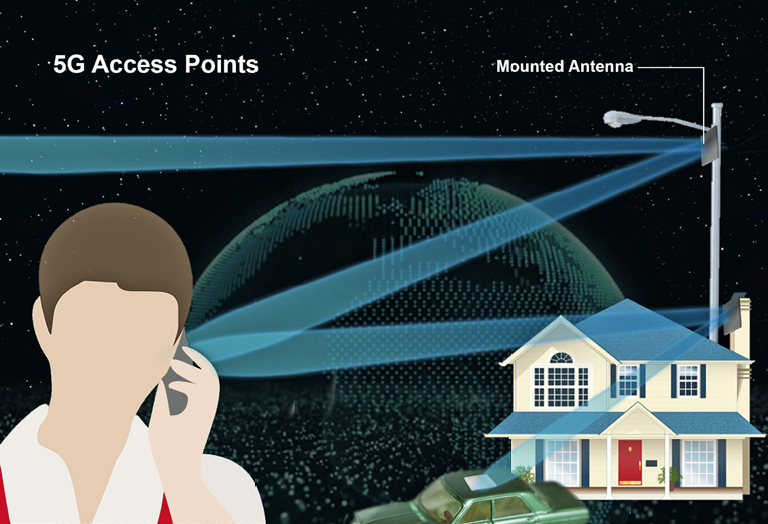 Point to point chipsets at this frequency are widely available and this is perhaps the most realizable of the 5G enhancements; however, 60 GHz suffers from the worst possible atmospheric attenuation — that means a typical house may require one Wi-Fi box per room. In addition, as 5G access points will be so widely spread around urban areas and inside buildings and shopping malls, it could be argued that Wi-Fi will eventually disappear, being one standard too many; for example, who remembers CT2? Apple revolutionized the mobile market when the company introduced their first iPhone; suddenly, the screen and look became more important than the performance of the phone. 5G will mean that high resolution touch screens are old hat — the radio features of the device will once again take precedence. The most important, and probably most expensive and desirable phones, will be satellite enabled. 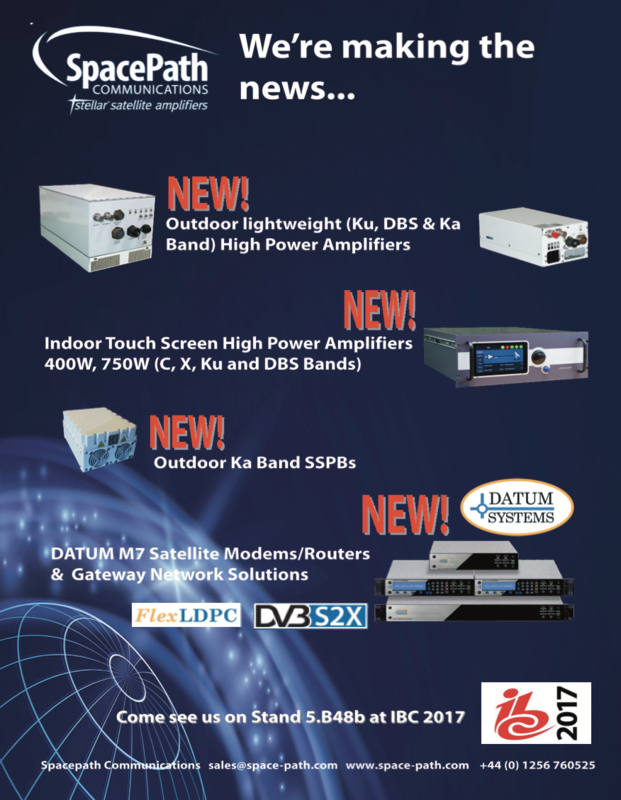 Satellite technology means that new global mobile players will enter the market; this calls for rapid and quite difficult technological developments in flat retrodirective antennas, high speed modems and phased array chipsets. The best revenue streams will come from selling the data — the people who will build the satellites, such as SpaceX, will then also market data services globally. Mike Gleaves is Chief Technical Officer at Arralis Limited, a company he co-founded and built to become a major player in the latest satellite technology. He was a contributory member of one of the original ETSI GSM standards committees and has held various senior positions in microwave and radio manufacturing and service companies. He holds a BA in electronic systems and an MBA in International Business Development.